Anyone For Tennis On A Glass Floor? Who needs grass when you can play on glass? The ASB Glass Floor is set to take on Wimbledon – game, set and match – with its first ever LED tennis court. 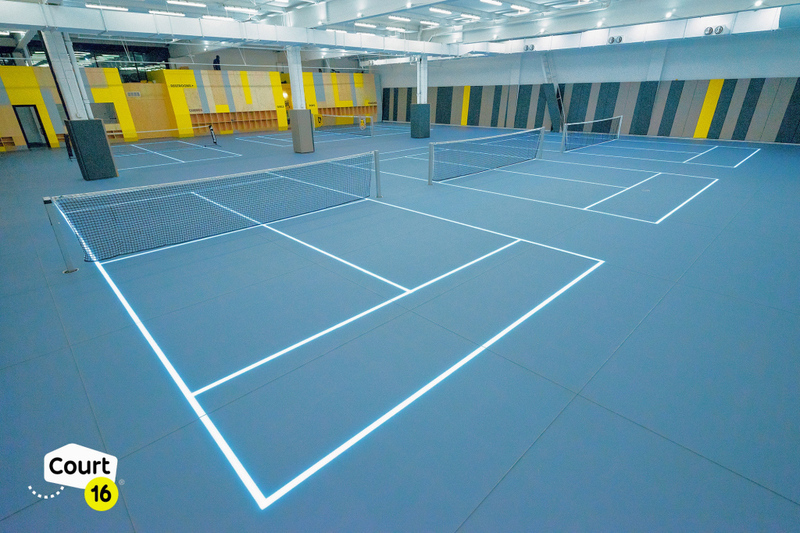 This game-changing innovative new sports flooring, with individual court markings at the flick of a switch, is installed at Court 16 in Manhattan, the first premier indoor tennis club for kids in New York City. The ASB Glass Floor by DYNAMIK potentially will change the way sport is played with its bespoke line marking, unique elasticity, chemically etched matt surface and double sprung all-aluminium sub-construction. Nothing is smashing this, not even world class tennis champions with their ace serves. DYNAMIK provide free of charge quotations and site surveys.